Title: Potlatch by an ‘Indian’! 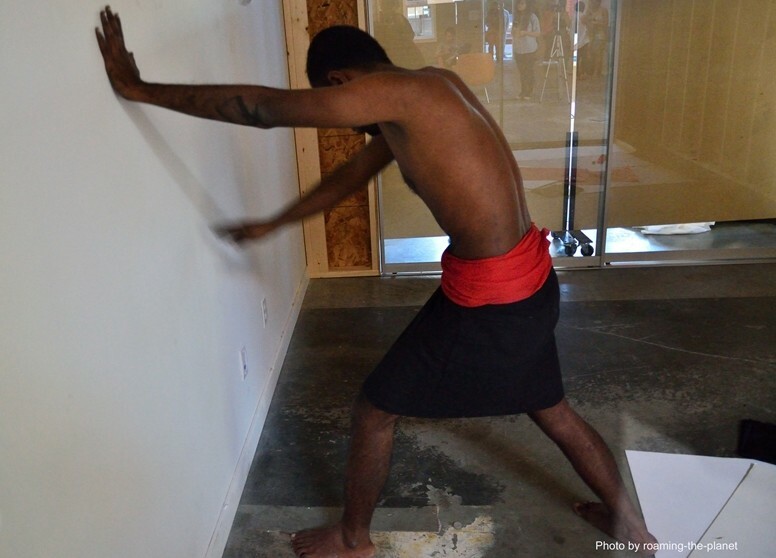 At Make Design Studio, Sajan participated in an exhibition titled From India and Brazil to Vancouver where he performed Potlatch by an ‘Indian’!, a political statement dealing with the ownership of space. As in many of his works, Sajan performed for an extended period of time (5 hours) while pushing boundaries of physical and mental endurance. The title, referencing the colonial use of the word Indian, alludes to acts of resistance in response to historical and current injustices. Sajan’s performance dealt with aspects of identity, discrimination, physical borders, and the politics of space.